Blogging is one of those things that seems simple in theory and winds up being difficult in practice; what starts out as a simple concept can easily turn into hours of outlining, writing, revising, linking, editing, and sharing. This past year I've learned that it's helpful to have a system in place to cover all my bases, and I've almost gotten my process down to a T. Today I'm giving you a peek at my process so that you might take away a couple helpful insights that make creating and publishing blog posts less frustrating and more efficient for you. People are always surprised to hear me say this, but the more I post to the Elle & Company blog, the more ideas I come up with for new posts. I've learned that when you post regularly and get to know your audience, you have a better understanding of which topics will benefit and interest them most. 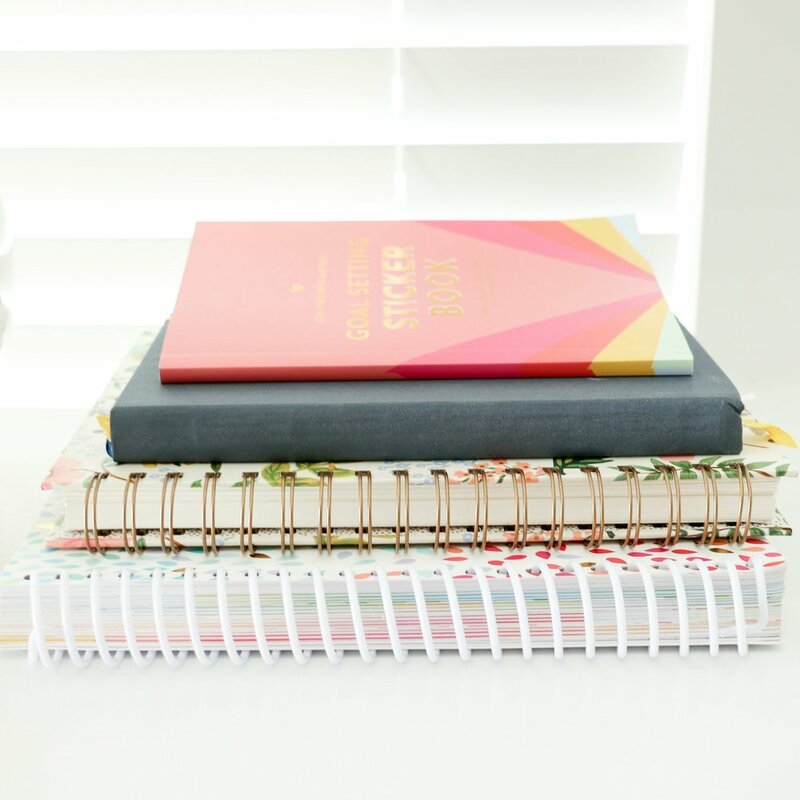 Because I blog primarily about blogging, design, and business, most of my ideas come to me in the middle of my workday while I'm answering emails or meeting with a client over Skype. I have a tendency to forget ideas if I don't write them down, so I keep a running list of posts on my iPhone for when I'm on the go and a second list in my Ellebook while I'm at my desk. It keeps me from scrambling to come up with blog post ideas. Because I post each weekday, having a storehouse of post ideas has been a lifesaver for me. There is nothing that I hate more than trying to come up with a blog idea the night before a post goes up. Not only is it stressful, but last-minute posts have the potential to water down the other content I've worked so hard to create. Planning ahead and thinking through posts ahead of time has made my life much easier. I'm able to space out design, business, and blog related posts. To keep my readers engaged, I try to vary my content and spread post topics throughout the month. By keeping a blog calendar, I'm able to be more intentional with which categories I'm posting when. I can account for the amount of time that each post will take to prepare and plan for it. Some posts take a lot longer than others. Posts like this one may take me 2 hours to write while long lists or infographics may take me 4-5 hours. By planning out my posting schedule, I'm able to account for the varying prep times in my normal work schedule. I created a blog planner specifically for this purpose, and it's one of the printables I use most often from the Library. I'm a little biased since I designed it, but it really has been so helpful! An average post takes me at least two hours to create, so I've built that time into my daily work schedule. I always start by outlining my post to organize my thoughts. Once I've come up with an outline, I go back through and flesh out each point and topic. I used to start with my introduction and work straight through, but I've learned that I work best when I move around the post and save writing the introduction for last. Once I have the post written, I read it out loud to catch any grammatical errors or typos and then pass it over to Jake. It's helpful to have another set of eyes to catch things I may not have seen, help me rephrase sentences so they flow better, and bring up other points that I may not have considered. 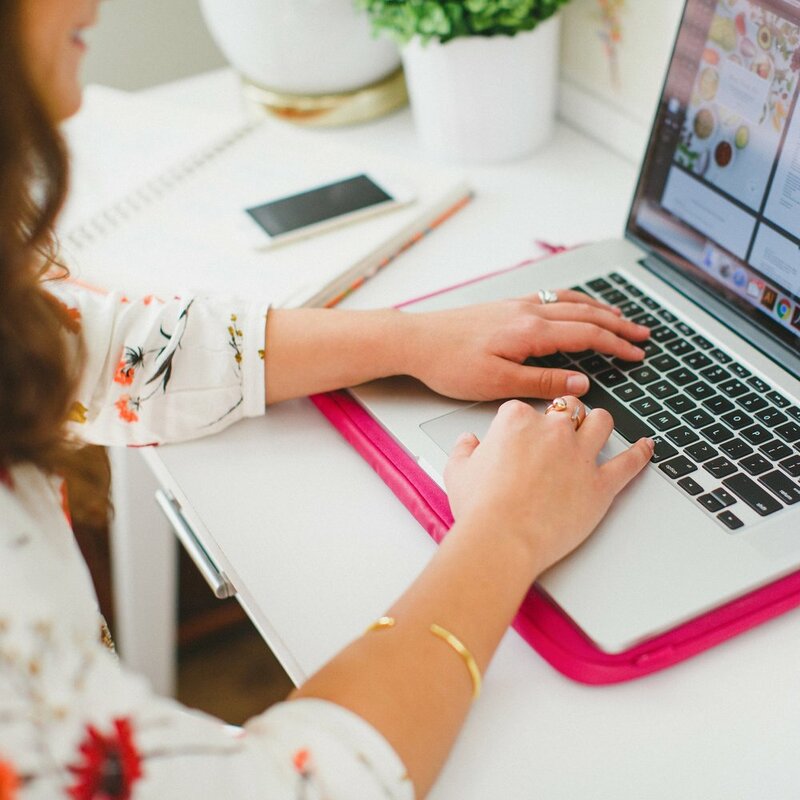 Blog graphics are my favorite part of the posting process, and they've had one of the greatest impacts on driving traffic to my site (you can read more about the benefits of great blog images in these two Elle & Company posts: Are you overlooking this important aspect of branding? and 3 Reasons Why Eye-Catching Blog Images Matter). I create each graphic in Illustrator and now that I've come up with a template, it takes me 5 minutes at most to design each image from start to finish. After I add the image into my post, I name it for SEO and Pinterest purposes and then my blog post is ready to go. Because I have a surprising number of viewers outside of the U.S. (thanks guys! ), I schedule each of my posts to publish at 6:00am EST every morning. The consistent time allows my audience to know when new posts will be available and builds reader trust. It's also nice being able to sleep a little later and not having to worry about getting my post up in time. Those of you who use Squarespace, here's a tutorial for scheduling your posts. Resources like CoSchedule are also helpful for scheduling social media posts throughout the day. There you have it! That's my posting process in a nutshell. It seems a little long and detailed, but now that I've gotten in a routine it's almost second nature. It may be time consuming, but blogging has become such a crucial part of my business that it's well worth the time and energy. What does your posting process look like?